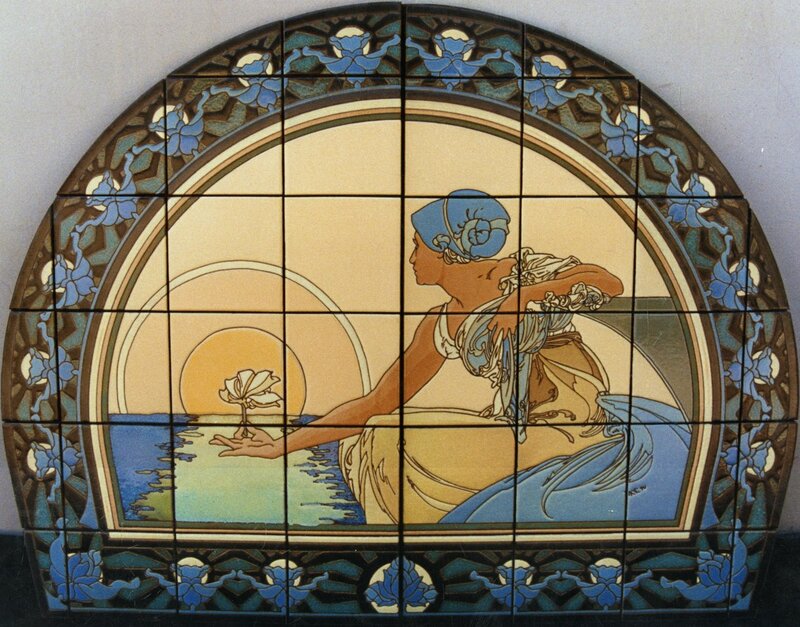 Maiden Setting the Sun Mural 56x44"
An Art Nouveau inspired mural showing a maiden's homage to the setting sun. Dimensions: 56in. × 44in. × 0.5in.